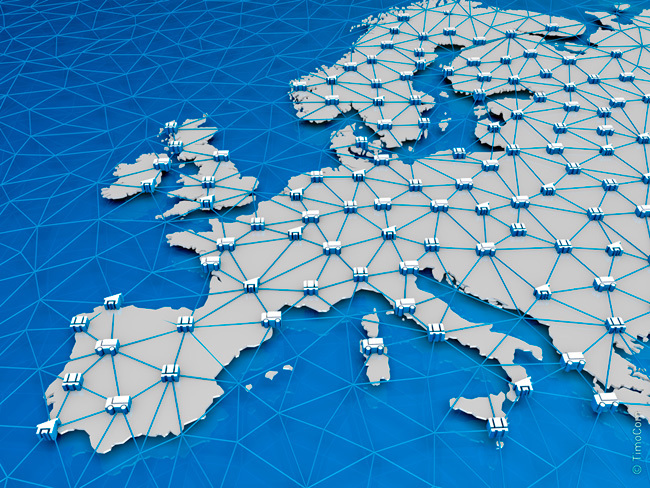 TimoCom, the European transport platform, is known for more than just efficiently combining freight and vehicle space; it also simplifies innovative networks and digital operations. Militzer & Münch, an international logistics service provider, also makes use of these benefits. Logistics service providers Militzer & Münch have been working together with TimoCom, Europe's largest transport platform, for more than 10 years. "With TimoCom, we have a trustworthy partner at our side to help us with our daily work in road transport", explains Tom Rosman, CEO of M&M Militzer & Münch GmbH. For example, their own transport management system has just been connected with the transport platform thanks to the TimoCom TC Connect interface, so that bids are now automatically transferred to the freight exchange. Rosman continued: "Even in the short time after we integrated our dispatch software, we have noticed it does more than save us time, it also simplifies our work processes. Another optimisation is the up and download function for documents on the transport platform. We encourage all our partners to upload the documents used the most, so that we always have them when we need them. This saves us quite a few work steps, and paves the way for a more digital, and especially paperless work process. Every single one of our locations practices conscientious use of resources." Networks beyond borders The logistics service provider, with headquarters in St. Gallen, has approximately 2000 employees in around 100 company-owned locations across 30 countries. In addition to their own locations, the gigantic Militzer & Münch network also features their preferred partners, which the company uses when assigning jobs. It is a place where a lot of languages and cultures meet. To bring them all together, TimoCom created a closed user group exclusively for the company; assigning jobs and exchanging information is now managed without an issue. It is a simple principle: group members enter their offers, which at first are only available to Militzer & Münch locations. Once a set period of time has passed, these offers also become visible for the preferred partners' network. Militzer & Münch can thus create their own international company network on the TimoCom platform, connecting worlds. TimoCom Soft- und Hardware GmbH is an IT-specialist, specialised in development and connection of applications for the transport industry. The company runs Europe's largest transport platform. On the TimoCom platform, up to half a million international freight and vehicle offers are entered daily. There are more than 36,000 verified companies in the logistics network. www.timocom.co.uk. The M&M Militzer & Münch group employs around 2000 employees at 100 locations in around 30 countries. Strategic partnerships in many additional countries expand the close-knit network. Militzer & Münch offers global air and shipping services as well as road and rail led inland traffic, and also project logistics for on the East-West axis in Eurasia and North Africa. The company is active with a close-knit network of locations in Eastern Europe, the Commonwealth of Independent States, in the Middle and Far East, as well as in the Maghreb countries. The company, founded in 1880, has their headquarters in St. Gallen (Switzerland).